Tangible Help. Hope. Healing. From someone who’s been there and has come out on the other side. 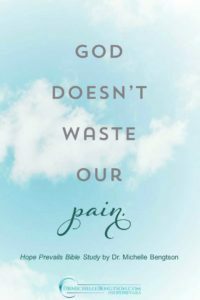 This book offers tangible help, hope and healing from someone who’s been there and has come out on the other side. 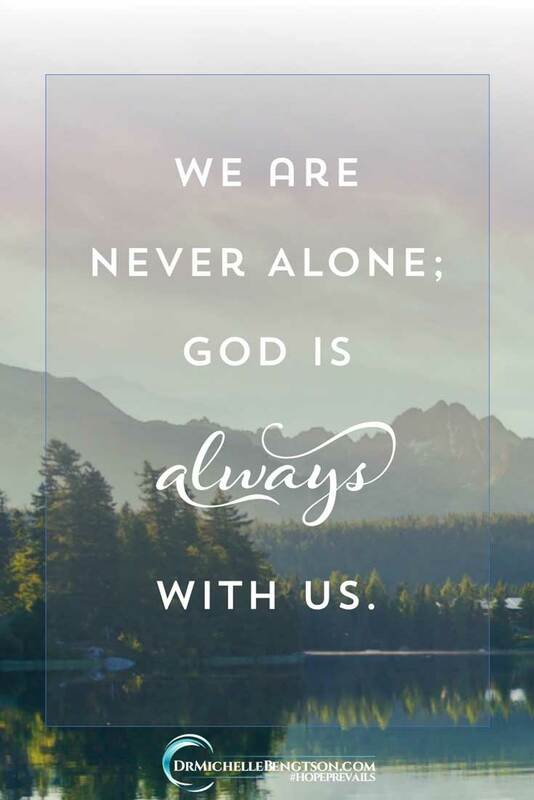 Learn you are not alone. Depression is common and is not shameful. Discover chemical, genetic, secondary, reactionary, and spiritual contributors. Realize depression does not determine your worth, dictate your destiny, or separate you from the love of God. 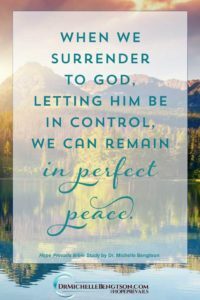 Fight back against the enemy’s tactics that would steal your joy and peace. 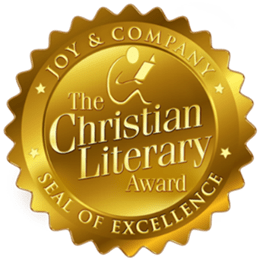 Hope Prevails Bible Study won the 2018 Christian Literary Awards prestigious Reader’s Choice Award! DR. MICHELLE BENGTSON (PhD, Nova Southeastern University) has been a neuropsychologist for more than twenty years. She completed postdoctoral training at both the Henry Ford Hospital and the University of Alabama Health Sciences Center. She lives in the Dallas/Fort Worth area with her husband, their two sons, and two dogs. 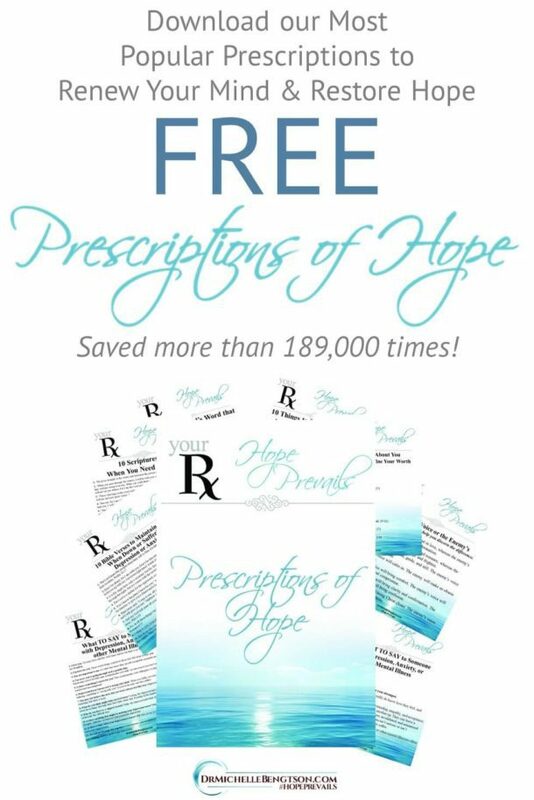 She offers more hope at www.DrMichelleBengtson.com. 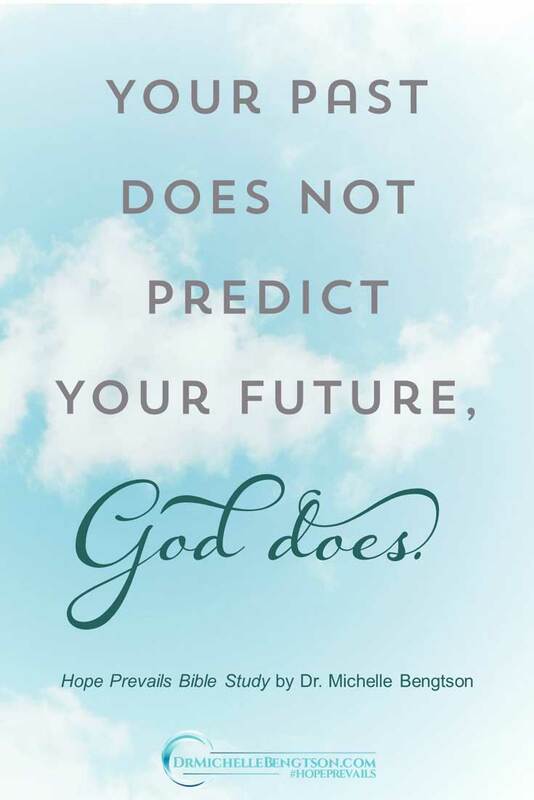 Because of Him, #HopePrevails! “Dr. Michelle Bengtson has done it again. 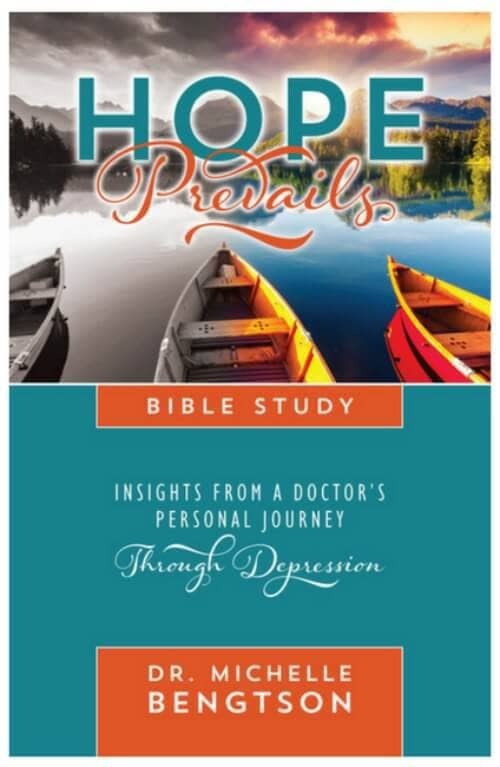 The Hope Prevails Bible Study delivers the same great authentic connection, raw insights, and powerful truths that we received from her book Hope Prevails: Insights From a Doctor’s Personal Journey Through Depression. Being in church ministry for many years, and now a lead pastor, I see this study not only as a great resource for individuals, but it would be highly beneficial to both church and counseling groups. 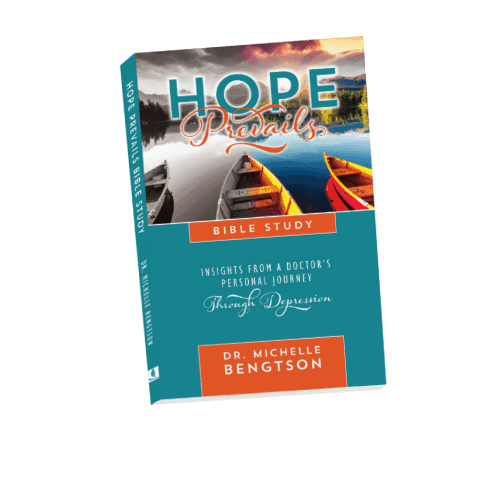 As a huge fan of the book Hope Prevails, I was excited to hear that Dr. Bengtson was releasing with a companion Bible Study. Both are unique in a couple of ways. First, Dr. Michelle’s personal view of depression, as a clinician and as one who has suffered severe depression herself, gives credence to her message. Second, her focus on the spiritual roots of depression, as well as chemical and genetic components, is something I’ve never seen in a book on depression before. The Bible study takes us even deeper than the book (which is very comprehensive in itself). Answering the chapter questions will be powerful as a group study. 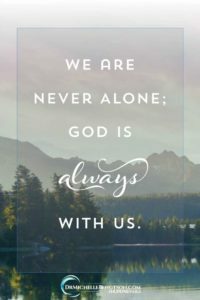 As former freedom in Christ directors, my husband and I know many people suffer from depression within the church. 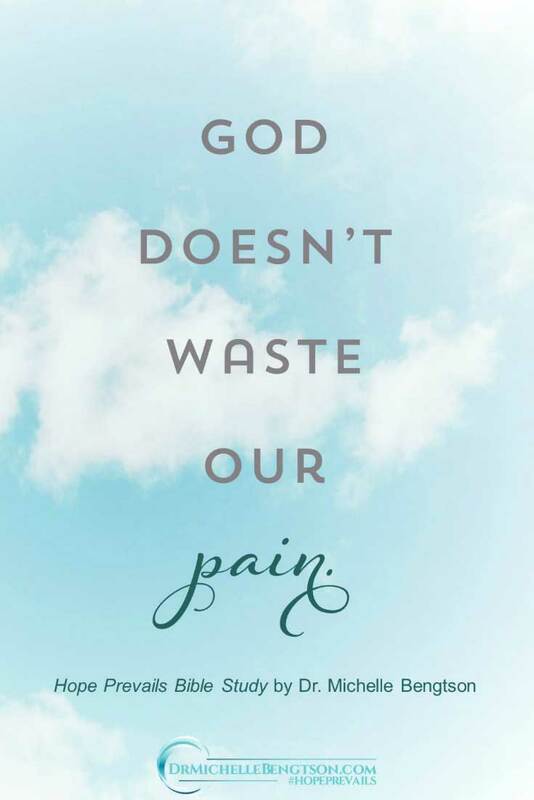 We’ve also experienced the truth of the exhortation of James 5:16 (KJV), “Confess your faults to one another, and pray for one another, that ye may be healed.” Since pain shared this way is always pain lessened, I know that this Bible study, used in a group setting will be life transforming and sure to bring healing to many. 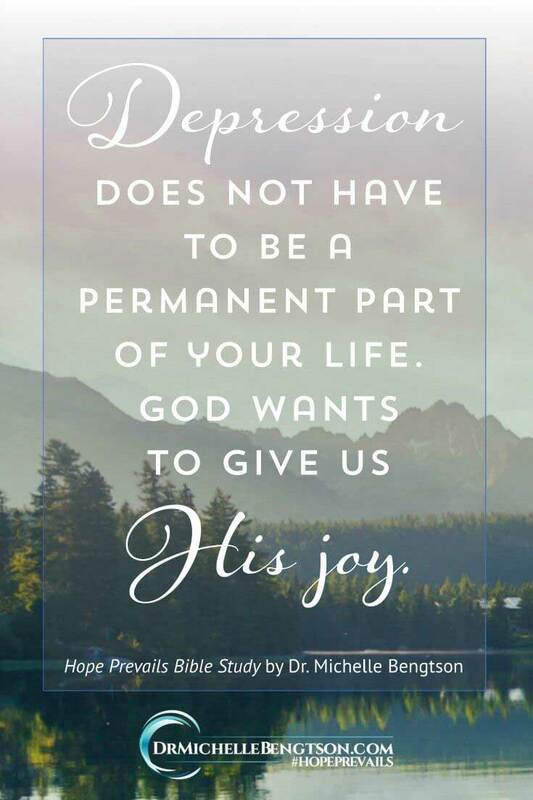 I highly recommend the Hope Prevails Bible Study, as a companion to the book or as a stand-alone study. This is a powerful scripture-based Bible study filled with insight into becoming free from depression. 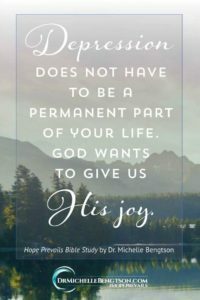 Certainly Dr. Michelle Bengtson has addressed areas of hopelessness that can become fatal to a believer and their faith in God. 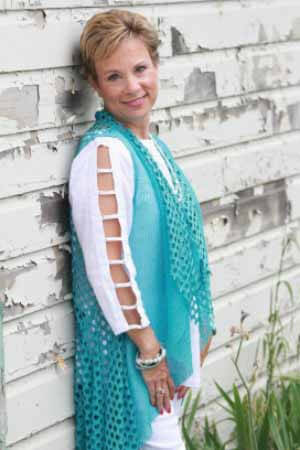 Her transparency gives hope and the tools to step into a transformed life. I highly recommend the Hope Prevails Bible Study to individuals, church groups, small group Bible studies, or counseling groups everywhere. There was a time after our boys were born when my wife struggled with anxiety, panic attacks, and increased heart rate. In time, she found herself fighting off depression daily, resulting in visits to the best cardiologists and neurologists. But none of them could find anything physically wrong. 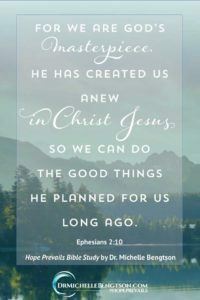 After near two years of immense struggles, we were introduced to a Biblical teaching like Hope Prevails. 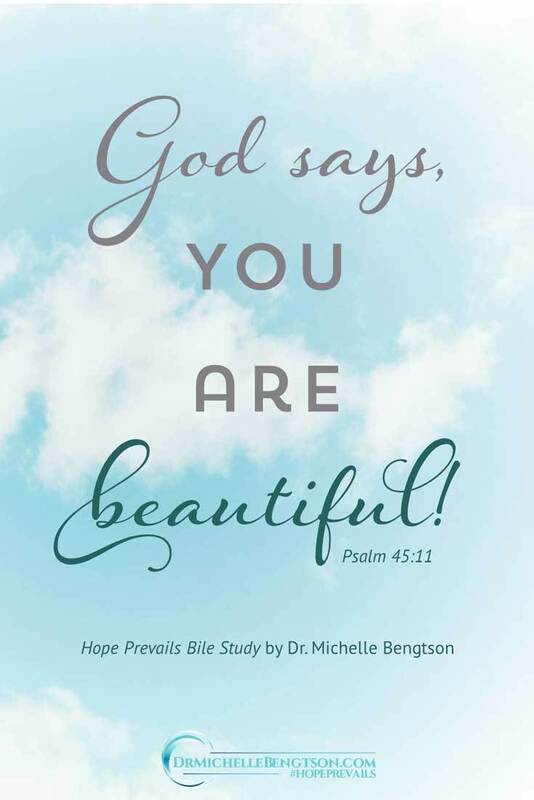 I am so thankful that the Lord is moving on the hearts and minds of authors like Dr. Michelle Bengtson to address medical and emotional ailments with training and Biblical revelation to produce a lifesaving book and now the Hope Prevails Bible Study. This resource should be required reading for anyone struggling with depression and for all ministry personnel. It not only offers wonderful information and revelation, the thing I love most about it is that she keeps the focus on Scripture and the healing work of the Holy Spirit. She does a masterful job of engaging the reader and leading them to the healing waters that only Jesus can offer. There are numerous books on depression and what has been missing is a solid Bible study on this topic. 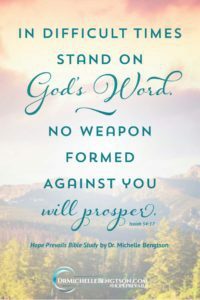 Truthfully, I wish “Hope Prevails”, both the book and Bible study had been available when I walked through my dark night of the soul. 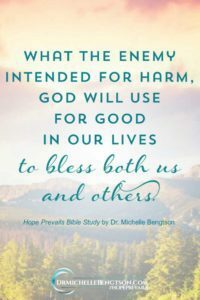 Dr. Bengtson combines her training, knowledge, and wisdom to gently take us to the only place we can find healing – God and His Word. 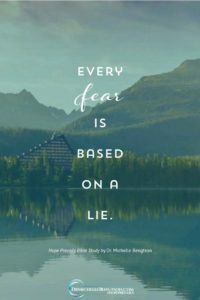 She provides authentic stories from her own journey, insightful questions and gives us the doctor’s perspective toward Biblical emotional health. 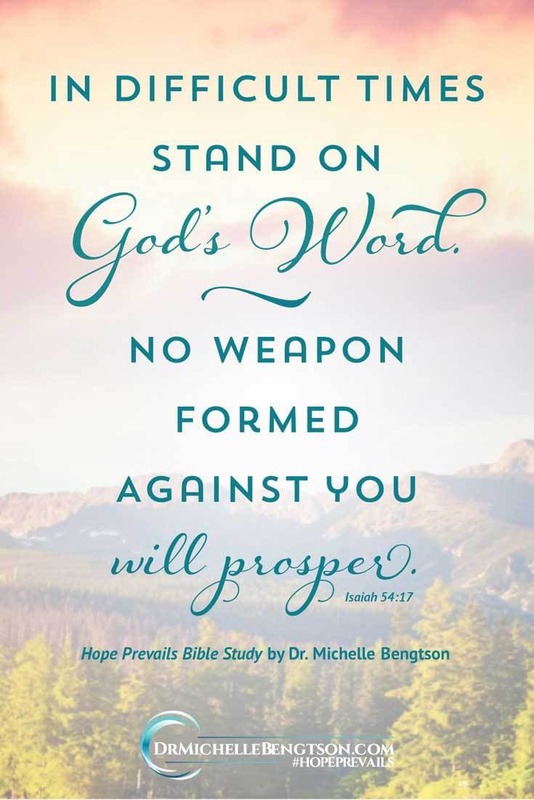 The Hope Prevails Bible Study is a prescription to not just learn to survive but to overcome the unwelcome stronghold of depression. You won’t be disappointed. It is an excellent study for a small group or a one on one conversation. 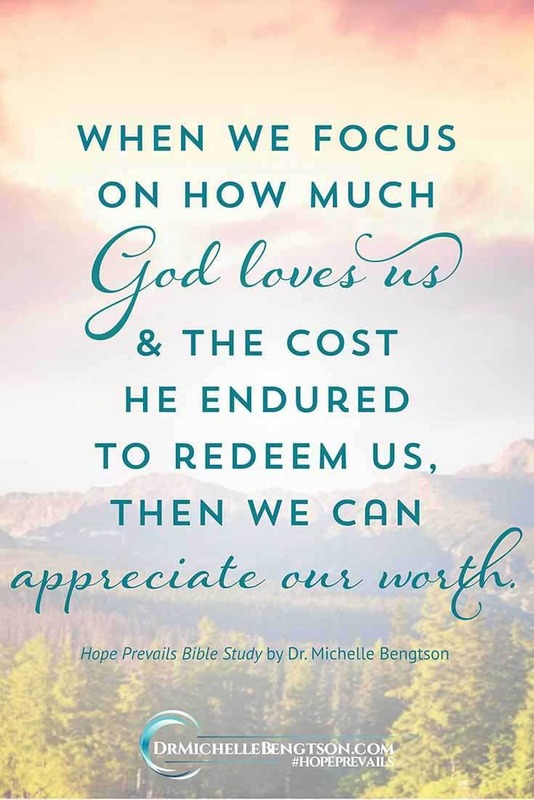 Dr. Michelle Bengtson has written the Hope Prevails Bible Study not only from a neuropsychologist’s point of view but also from a woman’s heart who has personally walked out the dark valley of depression by trusting God even when He seemed far away. 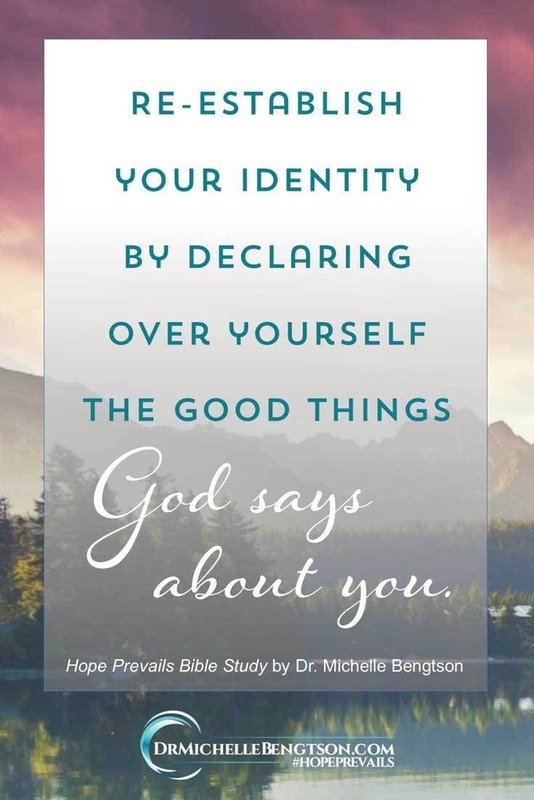 As a Pastor’s wife and mentor I am thrilled for this material to be available to use as a guide to help others who find themselves on the same journey that Dr. Bengtson writes of. This study will not only benefit those who are going through depression but also those who are walking alongside those who are personally experiencing depression. Every home around the world is touched in some way by anxiety and depression. The information and insight contained in this Bible study is material that God can use to bring deliverance and restoration. I have known Dr. Bengtson for several years. I love her writings. Being a Pastor, I appreciate her Biblical perspective. I refer many people that I counsel to her book and now with the Bible Study companion, this is a grand slam for God!!!! I have never seen so many people looking for hope in my time as a Pastor and Dr. Michelle answers that need of so very many, and gives pastors another resource. When someone is willing to share their story from struggle to healing I can’t help but connect to them in my journey! 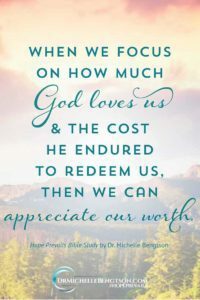 Reading Dr. Michelle’s book brought many, “ME TOO!” moments from my own struggles with depression and restoration. I am delighted that Michelle is bringing us the “now what” in the form of this wonderful Bible study! This study helps provide insight to our own healing journey and takes us from hurting to healing! I love the reflective questions and key thoughts which help bring everything together. The worshipful playlist helps shift the focus onto our Creator! 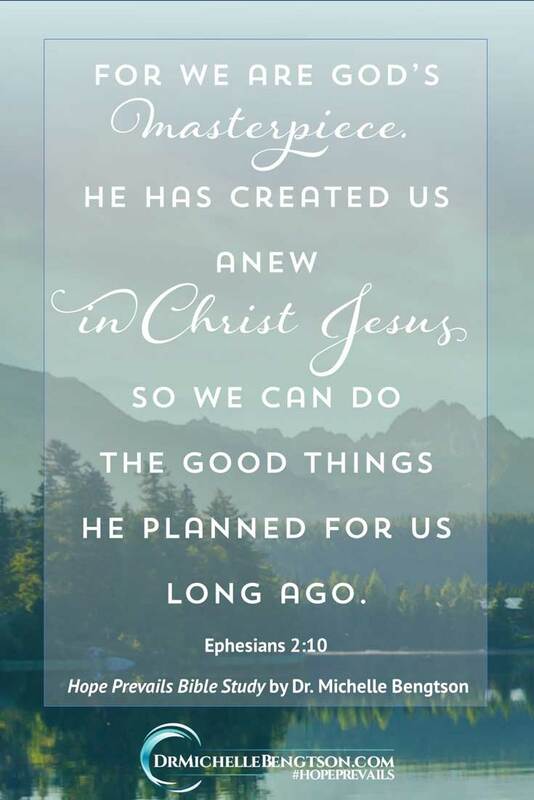 Be ready to be transformed! Freedom. Isn’t that why someone sees a neuropsychologist – to be freed from what torments them? Combine that freedom with a Bible Study and imagine the power when Jesus is the healer. 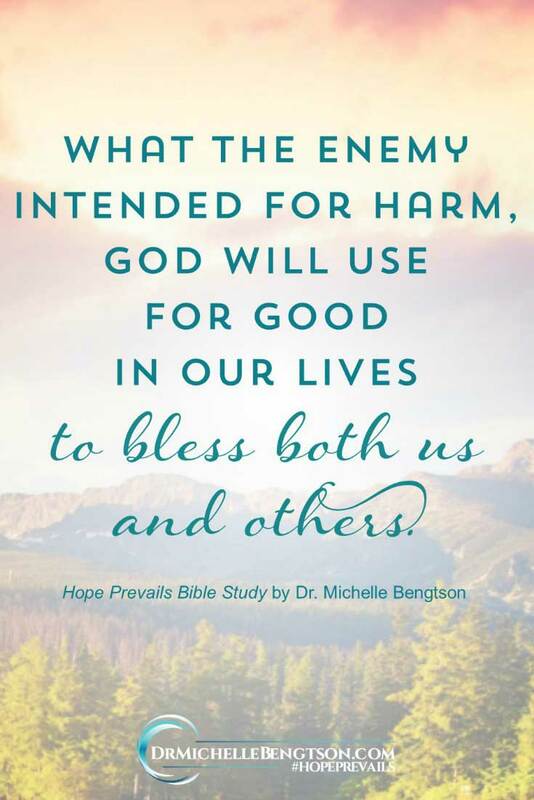 That’s what Dr. Michelle Bengtson addresses in the Hope Prevails Bible Study. The whole person – they physical, emotional AND spiritual health of the reader. 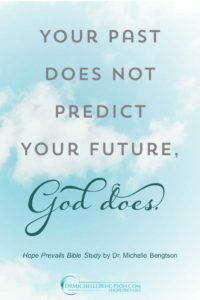 Whether you are dealing with depression or other physical, emotional or spiritual strongholds, I heartily recommend what “the Doctor orders” in Hope Prevails! Share Hope and Encouragement! 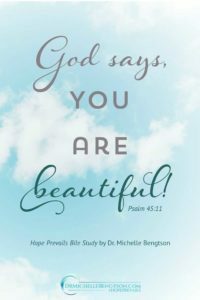 Quotes and Bible Verses from Hope Prevails Bible Study!